My review of "Jonathan Livingston Seagull" by Richard Bach. This book was much loved by "baby boomers" as an inspirational allegorical tale. If you're a "baby boomer" you probably remember "Jonathan Livingston Seagull" very well! This book appeared in the early 1970s when so many of us were searching for inspiration. Loving the uplifting message but without even understanding the religious undercurrents, we embraced it as one of our classics. It can be read just as a very uplifting story, taken almost literally, but realizing that the seagulls represent humankind. We just want to fly like Jonathan! Also, though, Richard Bach's deep spirituality is there to be appreciated by those who wish to delve further into that realm. And, in reading it again now, I recognize how much of the experience of Jonathan, and his followers, parallels that of Jesus and the early Christians. Of course, no accident! But when I first read it I was not looking for a Christian message, just inspiration, and I found it. And that inspiration is there as clearly today as it was back then. "We can lift ourselves out of ignorance, we can find ourselves as creatures of excellence and intelligence and skill. We can be free! We can learn to fly!" Here is the book by Richard Bach. 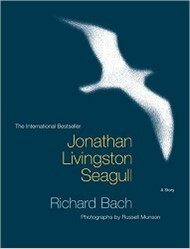 His amazing tale of Jonathan Livingston Seagull. If you haven't read it already, or even if you have, this allegorical tale is one that everyone can enjoy and receive inspiration from. Don't you want to fly like this? Haven't you wanted to fly? I have! Many times in my mind, or my dreams, I soar above the earth or the ocean, feeling the wind and the sun and the freedom of moving without restriction. That's what Jonathan Livingston Seagull wanted. Well, doesn't it seem obvious that seagulls can fly? What's so special about Jonathan Livingston Seagull if he just flies! Yes, indeed, that's the very question. 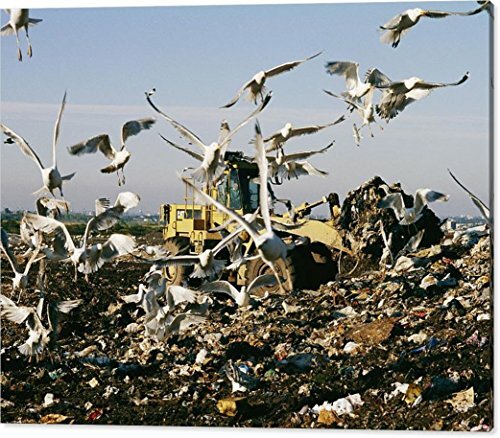 In this book, seagulls can all fly of course. But they don't enjoy flying, they just fly to obtain food. Jonathan's father tells him not to forget that "the reason you fly is to eat." They flap around squabbling and fighting - that's not true flying! Because he rejected the law of the flock, he is outcast. But Jonathan continues to perfect his flying, enjoying the thrill of his life, and living longer than the ordinary seagulls in his old flock. The first time I read this book, I really just enjoyed that first part. However, there are two more parts. Richard Bach continues the story of Jonathan into new realms, where Jonathan learns that there are no limits except those that we put on ourselves. Jonathan also becomes a great teacher, inspiring others to fly as he does. "What do you think, Fletch? Are we ahead of our time?" "We're ahead of the fashion, maybe. Ahead of the way that most gulls fly." No, that's not the message at all! Jonathan Livingston Seagull is special only in that he determines to go beyond the limits imposed by the flock and experience flight without such arbitrary restrictions. He's not your usual seagull, that's for sure. But he doesn't have super powers, he just has a strong desire to fly and to experience the joy of flying, well the joy of living. For Jonathan, unlike the rest of the flock, eating was not the goal but rather flight itself. So he pushes the limits of flight, a test pilot breaking the sound barrier if you will. But just like that test pilot, he doesn't invent a new form of flying, he just learns how to do it. "Well, this kind of flying has always been here to be learned by anybody who wanted to discover it." 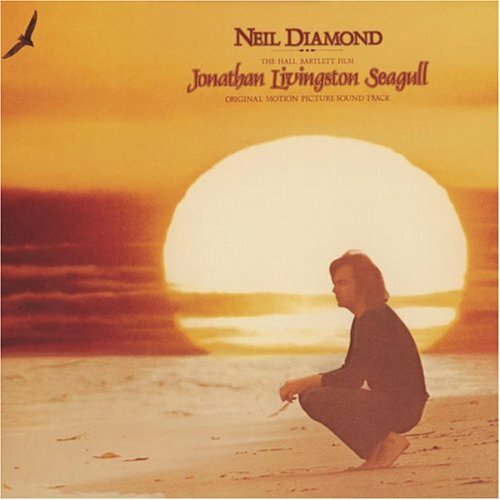 Although the movie of "Jonathan Livingston Seagull" was not exactly a great success the soundtrack is amazing! It helps to like Neil Diamond (and I do! ), but whether you do or not the music is undeniably great and complements Richard Bach's text just perfectly. Richard Bach is an immensely successful American author of both fiction and non-fiction. His aeronautical training (he flew in the air force as a jet fighter among other flying experiences) and love of flying bring an authenticity to his allegorical use of flight in novels like Jonathan Livingston Seagull. Most of his writing is based on his real life experiences, such as aviation. He uses these to illustrate his philosophy that physical limits are illusory and our true nature is timeless and infinite. Love features strongly in his books, including Jonathan Livingston Seagull, and he has written several novels that are semi-autobiographical. For further information about Richard Bach and lots of photos, check out this site. 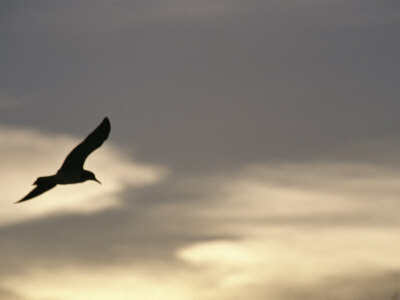 Have you Read "Jonathan Livingston Seagull"? Wow, that's a great little story about your daughter's reaction to the book! I'm sure Richard Bach would love to know his work touched a four year-old. Oh Mira, you haven't read this book! You just have to do it - it's really short and easy to read. Enjoy! Thanks for the information the meaning of Fletcher, definitely good name for a seagull! One of my all time favorite books! You are right that Jonathan speaks in a many layered voice. His message comes through to the reader in whatever they are ready to hear at that time, and sometimes surprisingly so. I remember reading it to my then four year old on a rainy afternoon. She seemed just mesmerized, and was quite as a mouse the whole time. At the end, she looked at me intently and said, "Mommy, that's not just about seagulls, is it?" By the way, another seagull is called Fletch? Frank Beswick here wrote an article about names, and Fletcher means arrow maker (from the French for arrow), which goes well with the theme of flying.